The Wallabies vs The All Blacks… The Kangaroos vs The Black Caps… The Diamonds vs The Silver Ferns… We are used to seeing a battle for supremacy between these New Zealand and Australian sports teams… But now there is a new challenge on the horizon! It’s the Gourmet Traveller Wine Aromatics Tasting with Australia taking on New Zealand, and we’re thrilled to have been selected as part of our country’s national team! Of course we’re in great company, as our team shot shows! If you’re in Australia we can thoroughly recommend you head along to this event. It takes place at Chiswick, Woollahra in Sydney on March 14th (6:30 p.m. until 9:30 p.m.) and is hosted by well respected wine writer Mike Bennie; there’s also an opportunity to meet British wine critic, journalist and editor of wine literature, Jancis Robinson OBE. Jancis, will be signing her latest books at the event. You’ll also enjoy the garden-fresh food chef Matt Moran and Chiswick are renowned for. COST: $115 per person, plus booking fee, four-course dinner included. 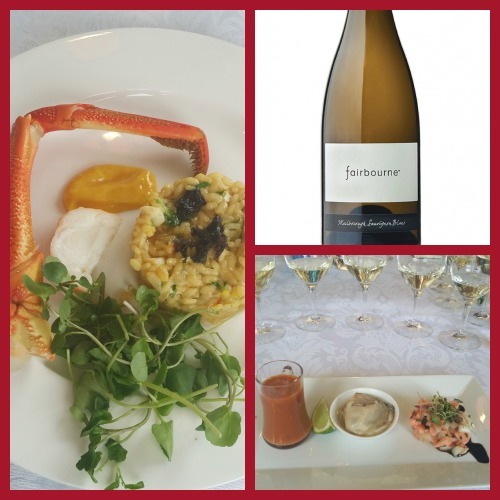 Sauvignon 2016, The International Sauvignon Blanc Celebration is the first of its kind in New Zealand and an opportunity for the New Zealand wine industry to host the world’s leading wine producers, experts and key influencers and shine the spotlight on this diverse, expressive and sought-after variety. The event will run over three days from Monday 1 February to Wednesday 3 February, 2016 in Marlborough. You can find out all about the event HERE. There’s nothing we like more than collaborating with other wine producers who are passionate about their wines and the wonderful region we live in, so Russell and I wouldn’t miss this event and are looking forward to being delegates. At Fairbourne Estate we choose to commit to varietal specialisation and sustainably managed vines to grow consistent, site specific premium Marlborough Sauvignon Blanc. This comes from our history of working with and acknowledging the potential of this popular variety when grown on low fertility sites. Marlborough Sauvignon Blanc is what we know and where our passion lies. We make an elegant, terroir inspired world class wine for evolved and sophisticated wine lovers. 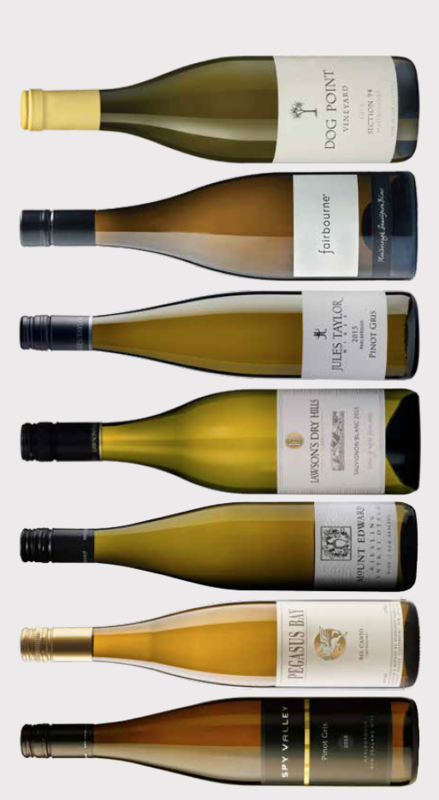 Thus we have became known as New Zealand’s only specialist, artisan producer of premium Sauvignon Blanc. Fairbourne Sauvignon Blanc 2014 as part of the GARDEN PARTY AT LAKE TIMARA at Timara Lodge on 1st February. Fairbourne Sauvignon Blanc 2013 as part of the THE CLASSICS Characteristic Style Tasting at both Spy Valley and Cloudy Bay on 2nd February. Fairbourne Sauvignon Blanc 2014 as part of the KIWIANA BEACH PARTY at The Store on 2nd February. Fairbourne Sauvignon Blanc 2011 as part of the THE WILD BUNCH Alternative Tasting at Ara on 3rd February. Did you know it’s Bee Aware month? Read more about it HERE. Here at Fairbourne we’re doing our bit to make sure kiwi bees keep on buzzing. 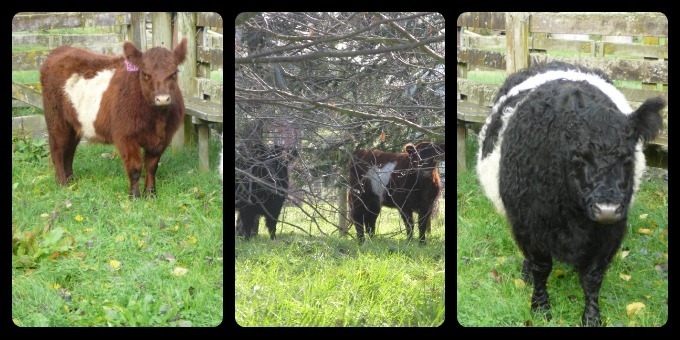 Our beautiful cows have company in their paddock… the bees have moved in. We’re a wee way off from our first jar of honey, but we’re already researching recipes that will compliment our Fairbourne Premium Hand Picked Sauvignon Blanc. It’s no secret that salmon pairs well with Fairbourne, for a little sweetness that’s not cloying, serve it with a browned butter citrus sauce. Melt 6 tablespoons of butter over medium heat. Cook, whisking constantly, until the foam subsides and the butter begins to turn a golden brown. Stir in 2 cloves of crushed garlic, a tablespoon of honey and a tablespoon of lime (or lemon) juice, add salt and pepper, to taste. This will give you enough sauce to drizzle over four cooked salmon fillets. Serve with seasonal vegetables, and don’t forget the Fairbourne Sauvignon Blanc. Enjoy! We’re thrilled to be able to offer you the opportunity to purchase Fairbourne Estate’s Edgehill Marlborough Sauvignon Blanc 2012 online, exclusively through our website. 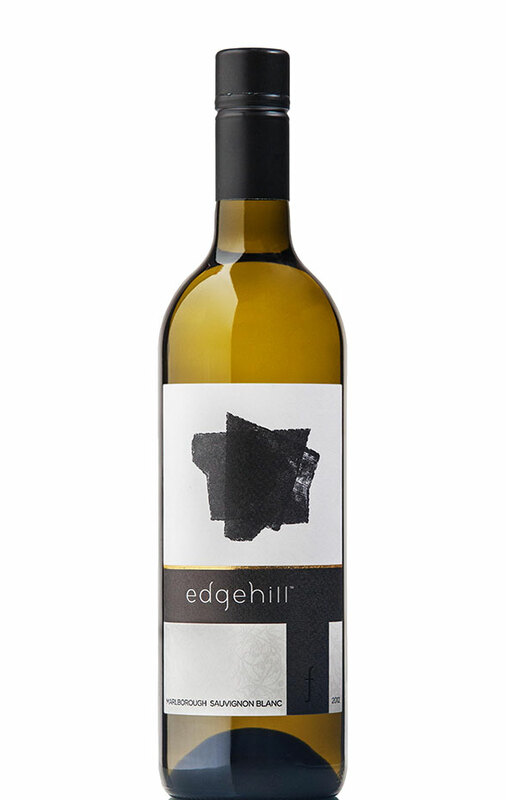 Edgehill is a site inspired dry white wine made in Marlborough with Sauvignon Blanc. The style is fresh, vibrant and very enjoyable early in its life. However, Edgehill is carefully balanced and will reward the patient with a year or two of bottle age, which means that the 2012 vintage is just about perfect to drink now! As with all our wines, we believe Edgehill makes great food taste even better…… it has the fullness to pair well with a range of spicy and fragrant cuisine. Fresh shell-fish and citrus dressings are a natural fit. Also, try with salsa or warm chorizo and asparagus sprinkled with feta. Edgehill has received four and five star reviews….. this is what acclaimed wine critics are saying…. We have good news! Our Fairbourne Estate premium Sauvignon Blanc is now available for sale online for delivery within New Zealand. Yes Russell and I will ship directly to your door, making it easier for you to enjoy our wines without having to carry them home. Our current vintage of Fairbourne, 2013, is available by the case or as a single bottle in a luxury gift box. You may also wish to sample previous vintages, in which case our vertical tasting case might be the perfect choice for you, one bottle of each vintage – 2008, 2009, 2010, 2011, 2012 and 2013. Alternatively our twin luxury gift box contains one bottle each of our Fairbourne 2012 and 2013. Happy Shopping! Oh and did we mention that we offer free shipping nationwide! 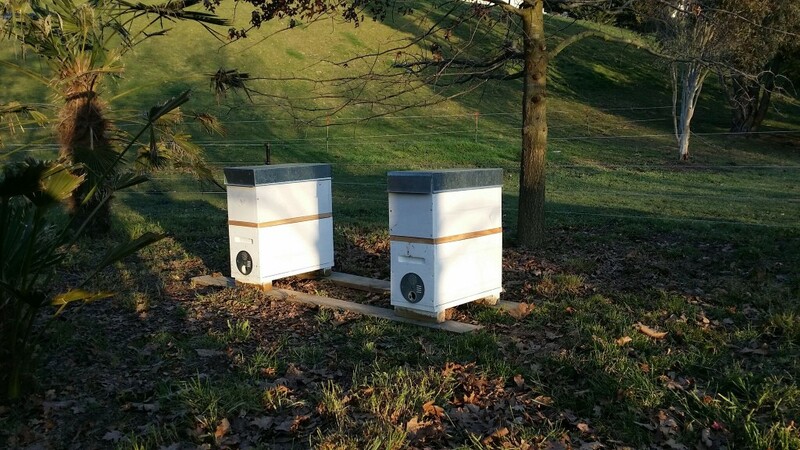 We have two new welcome additions to the Fairbourne and Two Tails family, no not new wines (although stay tuned for news of our 2014 releases)…… this time we’re talking “mowers”! These beautiful girls are gentle on the paddocks and won’t eat too high in the trees. Of course our lovely ladies will also be making their own organic contribution to Fairbourne and Two Tails in other ways…..
Have you picked up the latest issue of Gourmet Wine Traveller? 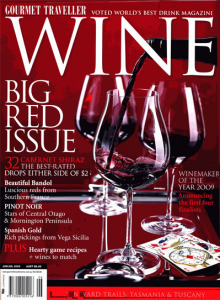 It might be the Big Red Issue but the “100 Top New Releases” wine reviews feature some fabulous whites…… Fairbourne Sauvignon Blanc 2013 included! This is what they have to say…..
Four per cent of the wine was oak fermented to add texture and complexity. The result is a weighty, complex sauvignon blanc with concentrated lemon grass, mineral and subtle gooseberry flavours. A tight and powerful wine. Fairbourne 2013 receives a score of 96/100, one of the highest scores awarded to Sauvignon Blanc in the June release of Gourmet Wine Traveller. 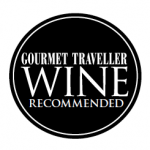 So that’s 5 stars and a Gourmet Traveller Wine seal of approval, we’re pretty pleased with that! To read all Fairbourne Sauvignon Blanc 2013 reviews, click HERE. In 2009, Alex Lloyd, our graphic designer submitted our Fairbourne label into the publication, “1000 More Great elements, Unique Elements for Distinctive Designs, Rockport Publishing”, and it was selected as an example of unique elements for distinctive design. Just goes to show Fairbourne is pretty distinctive from design to taste!